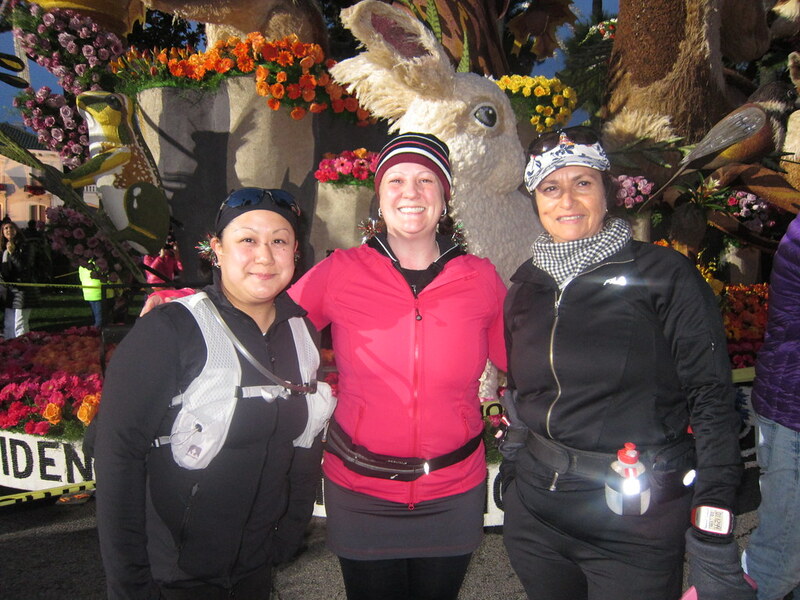 The Green Girl and her friend, Janey, joined the Sole Runners for the Second Annual Unofficial Rose Parade Bandit Run. 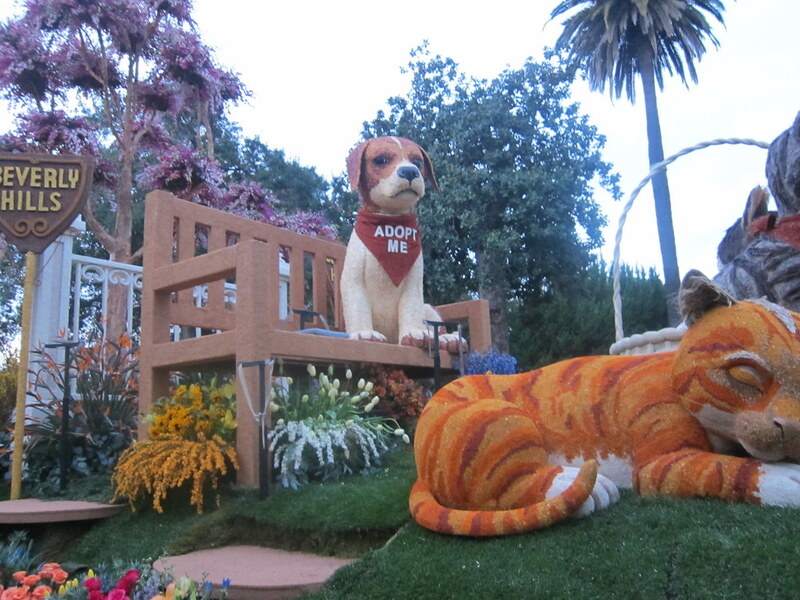 The Rose Parade is an annual event held in Pasadena on New Year's Day (unless New Year's Day falls on a Sunday and then it's held on the following Monday). The 5.5 mile Rose Parade procession begins at South Orange Grove Boulevard and Green Street and then heads east on Colorado Boulevard. The parade ends by turning north on Sierra Madre Boulevard and stopping at Villa Street. The unofficial start for our Bandit Run was just east of the parade route. We casually seeded ourselves based on running speed and headed west on Colorado Boulevard in our respective, informal pace groups. 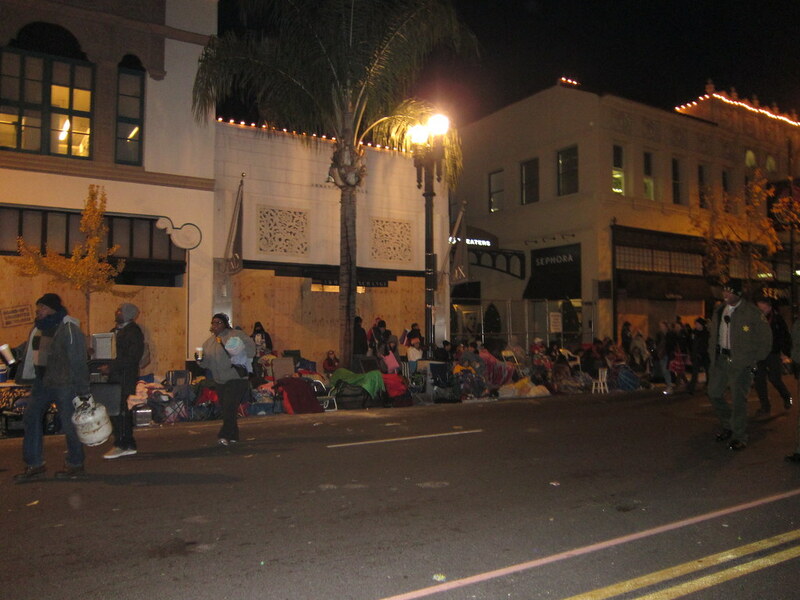 Since curbside viewing space for the Rose Parade is available free of charge on a first-come, first-served basis, adventurous spectators camped out up along the route starting at noon the day before. The majority of the businesses along Colorado Boulevard boarded up the front of their stores with wood for protection. Some stores saw this as an opportunity and transformed their window reinforcements into billboard advertisements. The experience is best described as running a race with lots of spectators but not a lot of runners. Unfortunately for us runners, the weather was unseasonably cold so there were a lot of fire pits. Which made it nearly impossible to breathe at times. Celebratory confetti, giant marshmallows, tortillas, and silly string were splattered across the ground. On occasion, our heels would stick to the ground as we ran down Colorado Boulevard. When we reached South Orange Grove Boulevard and Green Street, the floats, marching bands, and equestrian units were all lined up in preparation for start of the parade. 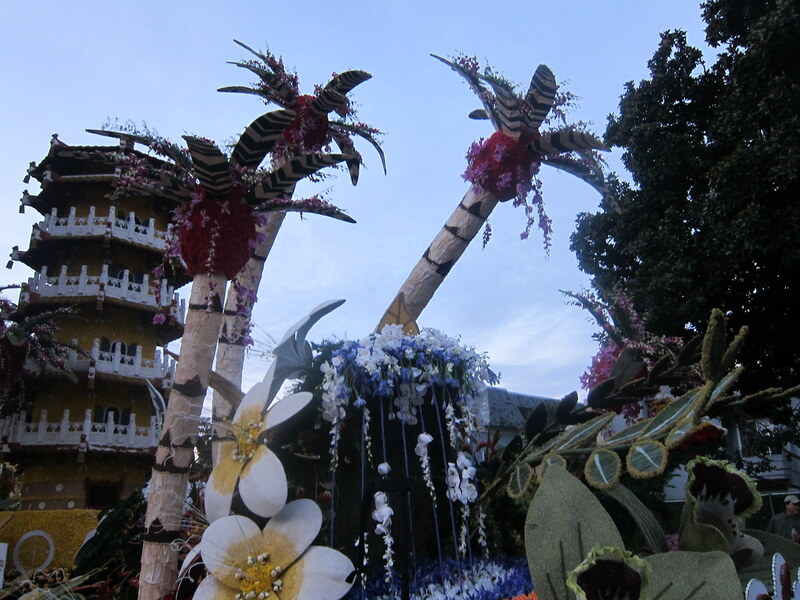 I was in awe of the level of detail the float designers were able to achieve using only regulation materials. 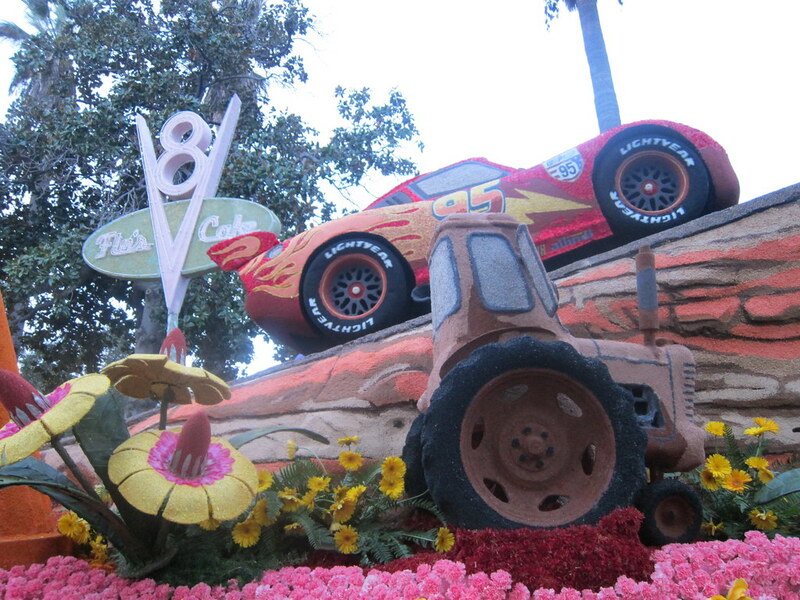 I'm a huge Pixar fan so my favorite was the 'Destination Cars Land’ float. It featured Lightning McQueen and Sally racing above the 'Welcome to Cars Land' sign along with Flo’s V8 Cafe and Cozy Cone Motel signs. The Second Annual Unofficial Rose Parade Bandit Run was the perfect way to kick off the New Year. I should think about photographing some parades this year. Hm. That is nice for having some running fun. We don't have parades here where I am and I always enjoy seeing them in photos or on TV. Great way to start the year's running! I happened across the parade when it was hitting the Cars floats. They were fantastic! How cool to see them up close and how fun to run the course! Sounds like a wild time!! !